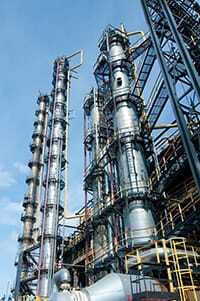 Publication of API RP-579 was a boon to the petroleum refining industry. It provided clear guidelines for dealing with degraded equipment in a manner that often allowed continued service without requiring repair, replacement, or reduction of the pressure rating. FFS assessment techniques are applicable to a wide range of damage types: LTA’s, cracks, creep damage, dents, and more. These are very powerful analytical tools that often allow operators to not only keep the plant running, but to keep it running safely. It should be noted that the information presented in this discussion is only a brief introduction to FFS assessment. Before applying any of these techniques, it is essential that engineers be thoroughly familiar with API RP-579 and its implementation. Our FFS engineers are highly experienced in the proper application of these advanced techniques. They are committed to providing reliable solutions that are not only financially feasible and structurally sound, but help improve safety, reliability, and profitability. Serving the oil refining, petro-chemical, chemical, power generation, and pipeline industries, Our FFS experts combine unmatched experience and the most effective engineering tools to solve problems in a number of plant components including FCCU’s, coke drums, pressure vessels, reactors, heaters, boilers, power generation equipment, piping, pipelines, turbines, and structures.